✔ 100% BRITISH UK PRODUCE & ETHICALLY SOURCED – no imports of dubious quality for us. 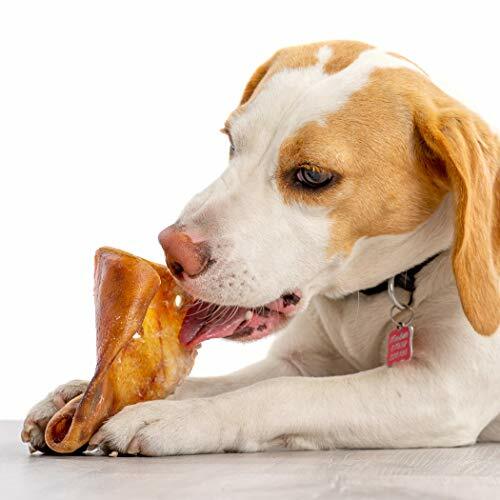 Our manufacturers guarantee excellent animal welfare practices. 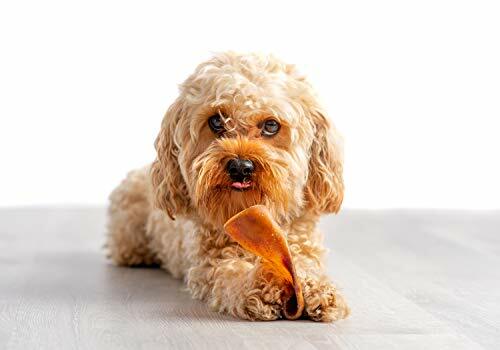 Our large pigs ears are the ultimate natural healthy treat for dogs large and small. 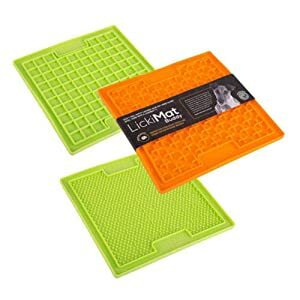 Perfect for those following a raw feeding BARF diet and an out of this world natural treat for kibble or canned food fed dogs. 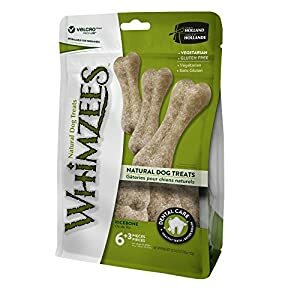 A much healthier and safer alternative to rawhide chews. 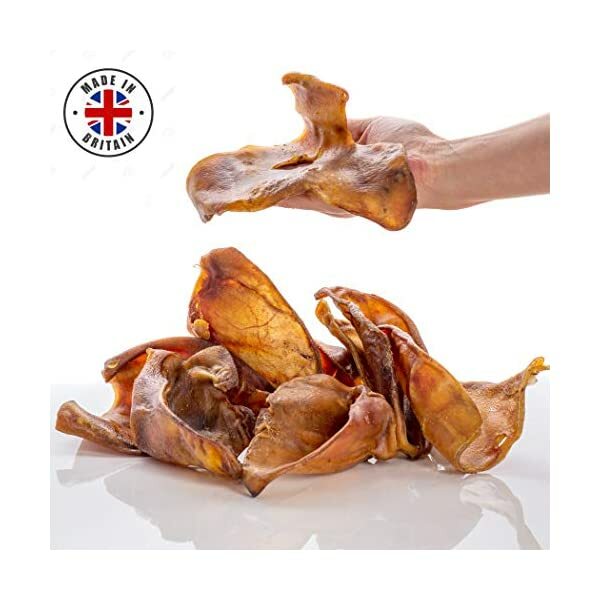 Our pigs ears come from British pigs, they’re produced in our UK manufacturer’s facility – we don’t import our ears from in another country where animal welfare might not be a priority and quality is variable. 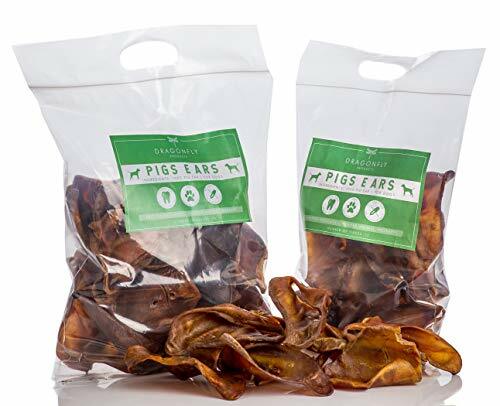 Pigs ears are a long lasting, natural alternative to dental sticks and chews. 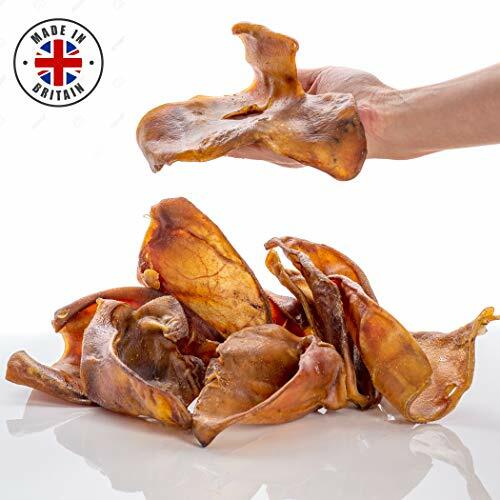 Our pigs ears are air dried, not roasted or fried, which keeps the flavour totally natural and are great source of protein for your dog. 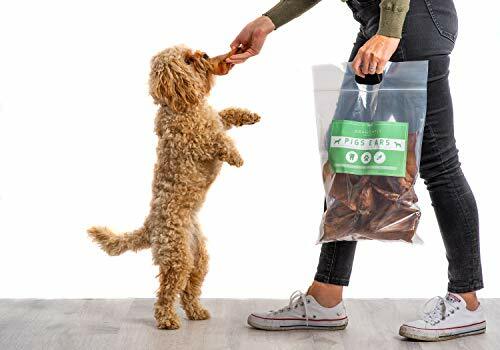 We pack each bag by hand to monitor quality. 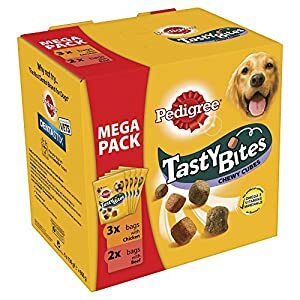 Available in packs of 12 or 25 ears. 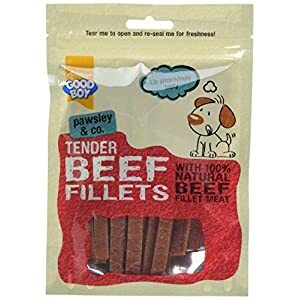 Suitable for puppies and dogs from 4 months of age. 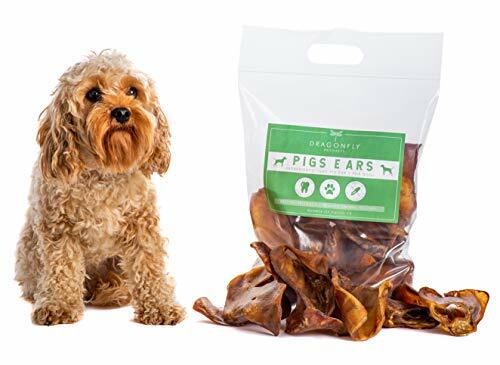 We at all times recommend supervising your dog when eating any kind of treat and suggest introducing pigs ears in moderation as too much at once may cause an upset stomach.